Breaking through the top of the creme brulee. So my little sister turning 30 (her champagne birthday, 30 on the 30th, no less) came with a request for creme brulee. From the only person in my family who doesn’t actually have a sweet tooth, that’s a pretty unique request. 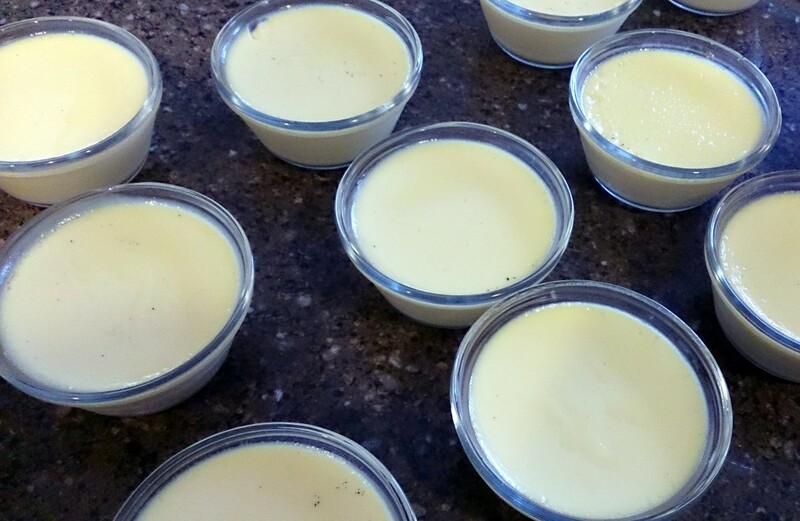 My original plan was to make a large tart (since I had to serve 14), but my crust cracked at the last minute and I found some reasonably-priced six ounce custard cups so I was off to the races. 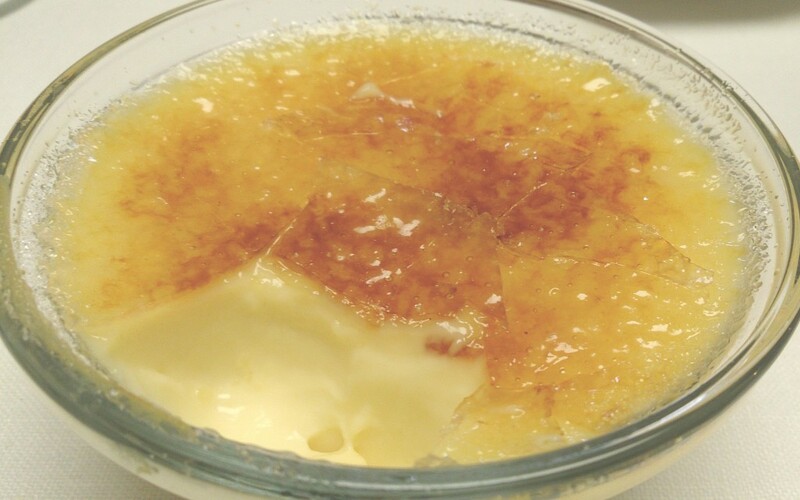 There are recipes all over the Internet for creme brulee, and this one’s pretty similar to the one I followed, though I didn’t use any salt. I used one from Desserts by the Yard and I was amazed at how few ingredients were involved – heavy/whipping cream, granulated sugar, vanilla beans, egg yolks – that’s it. 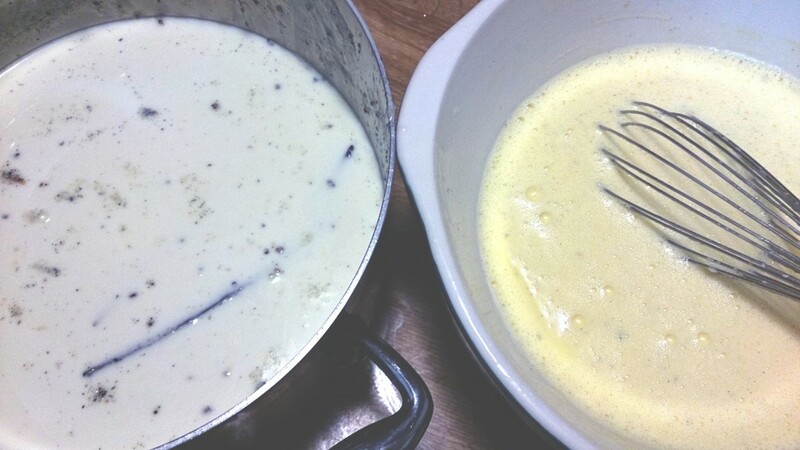 The scariest step of making creme brulee, mixing the hot milk, sugar and vanilla combo with the lightly whisked egg yolks. Go slow! But make no mistake, this recipe requires a lot of time, focus and steady hands to move liquid-filled trays. A bigger oven than mine would also be helpful. After trying it my tips are these – take your time and add the hot cream to the egg yolks VERY slowly. Also, be generous when adding sugar to the tops before hitting them with the torch or broiler otherwise you won’t get the crunchy top you want. The creme brulee before the tops are sugared and torched. One other thing – it’s SO good. Like, lick your lips, scrape the bottom of the bowl good. I had forgotten how amazing the contrast between the creamy custard and crisp top was. Totally worth the time.